Not just the way OUT but the way UP! When we heard about the Reliv products, we were looking for health for our family. We've been supplementing our diets for 25 years, and yet we were still having health concerns. We found out that having a form of nutrition that our bodies can easily absorb is the key, and Reliv is the answer. We also soon realized that the financial opportunity this company offered was an answer to our prayers and something we just couldn't pass up! Thanks to the LORD and Reliv, we now have hope for the future. As a couple, we represented two entirely different occupations. Steve is a Navy Captain with over 30 years of experience including the Vietnam War and Iraqi War, and he's a former Director of Operations and has a Master's degree in Organizational Management. Dee Ann is a public school teacher with a Master's Degree, numerous teaching credentials, and 28 years of experience. Still, neither one of us felt competent to jump into this kind of a business, but we used the Reliv Success System and found a wonderful team of support to help us learn and earn money while doing so. 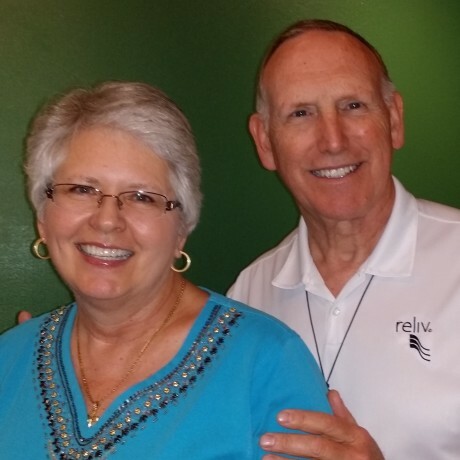 Doing our business just part time but with a full time attitude, we've already replaced Dee Ann's annual salary as an educator, so the decision to become Independent Reliv Distributors for life wasn't a hard decision to make! We're too young to retire, and there are too many places in the world that we still want to visit, and now that we have our health back, we're ready to go! We WILL make a 6-figure income with Reliv and we WILL travel the world! Do you share our dreams? Let us show you not just the way OUT but the way UP---Until the Whole World Hears!